recently announced that it will be delisting 17 altcoins, effective May 2, which saw the price of the coins drop significantly. On May 2, 2017, the following will be delisted: BBR, BITS, C2, CURE, HZ, IOC, MYR, NOBL, NSR, QBK, QORA, OTL, RBY, SDC, UNITY, VOX [and] XMG. Poloniex Magi is with you for a long time. Last months volume is growing, new developments are in progress. Pls reconsider!! Many, however, have taken to Twitter to either voice their support in the expected removal of the announced altcoins while others have voiced their anger in how Poloniex have handled the situation. Lol our hedge group only lost like $250000 in earnings in like 20 minutes … 11 failed transactions trying to close positions!!! All gone. @Poloniex who the F%^& makes these decisions? I see at least 4 with active develop, solid community & solid project that should remain. In the past, the cryptocurrency exchange has received its critics about its security procedures. Last October, an anonymous security review undertaken by Xavier59, revealed three vulnerabilities after alleging that Poloniex had failed to reply to his emails with information relating to security bugs. Furthermore, last year, the exchange announced that it was suspending its services in New Hampshire due to that state’s digital currency regulations. It added the same suspension to the state of Washington earlier this month for the same reasons. Of course, while the cryptocurrency exchange is considered one of the biggest, this latest news from Poloniex and its planned delisting of 17 altcoins is not going to do any favours for the exchange. It begs the question, then: is this the start of more delistings from the exchange? 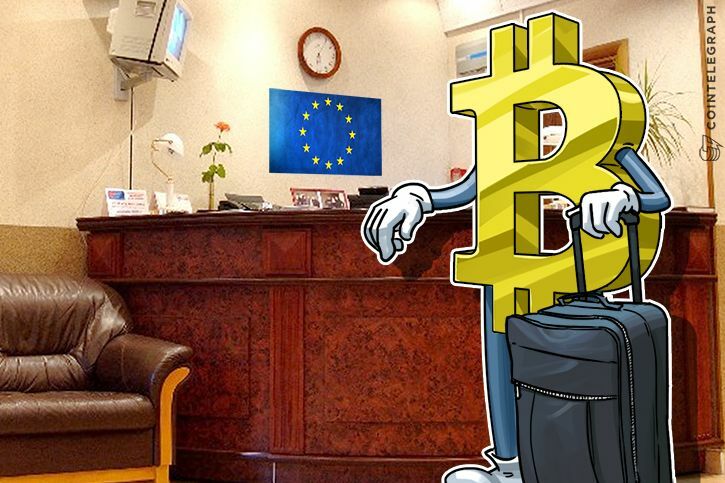 according to Deputy Finance Minister Aleksey Moiseev.Moiseev says monitoring cryptocurrencies could be an instrumental tool against money laundering, and Bitcoin and other digital currencies could be recognized by next year as the central bank works with the government to develop rules against illegal transfers. Last year the idea of a national cryptocurrency had been considered by the Ministry of Finance and the Central Bank, which would see the banning of all other virtual currencies in Russia. The idea had not been discussed by the Kremlin, however, according to Presidential Press Secretary Dmitry Peskov at the time. Russian officials had been opposing all virtual currencies, arguing their cross-border nature, transaction anonymity and lack of a supervisory body makes them the perfect vehicle for illegal transactions. 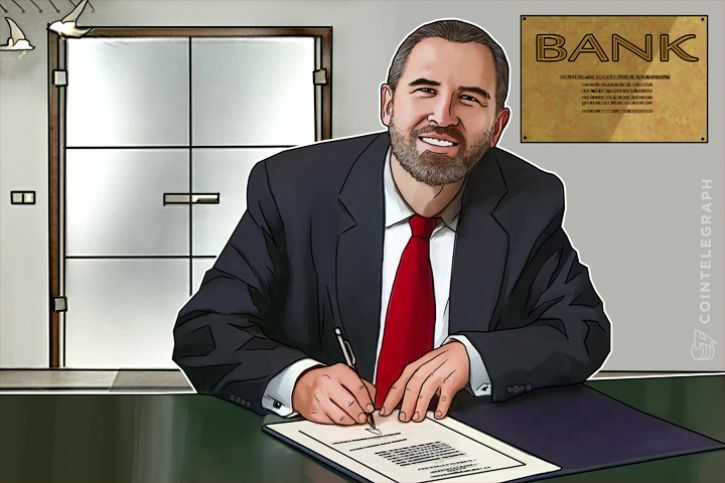 In 2014, Moiseev suggested a ban on cryptocurrencies could be introduced because of their use to fund illegal activities such as money laundering, the buying of illicit goods, rendering illegal services or funding terrorism. and even though a lot of people don’t want anything to do with it, venture capitalist need to pay attention. What’s an Initial Coin Offering? While it sounds like the beginning of an intrepid relationship with a metal-loving deity, turns out ICOs have nothing to do with actual coins. ICOs, aka “token sales,” are part of blockchain technology fundraising. An ICO is essentially a crowdfunded cryptocurrency. Tokens for new cryptocurrency are sold as a fundraising effort for technical development. Whenever a new cryptocurrency is born, its startup parents arbitrarily decide its worth. After supply and demand smack it around for a bit, participants in the price dynamic testing then settle on a value. Instead of a central government, the network of participants determines how much the cryptocurrency is worth. Unlike Initial Public Offerings, acquiring a token does not mean owning stakes in the company. Although venture capitalists have been giving ICO the cold shoulder, things are starting to look up. Cryptocurrency investors made bank last year, with some doubling their investments. Investors see returns more quickly with ICOs due to the liquidity of cryptocurrencies. Instead of waiting for a startup to playout via an IPO or acquisition, investors can bail if things aren’t going well. It’s easy to pull funds—or profits if things did work out. All investors have to do is use a cryptocurrency exchange to pull their profits, then use an online service to convert this to real people money. Who’s afraid of the dark(web)? If this sounds sketchy, you’re not alone. Traditional investors aren’t really fans of the regulatory uncertainty. The world of ICO can be full of scams and schemes, with little control over financials and strategy. U.S. Securities and Exchange Commission and friends are still investigating ICOs. But technically ICOs fall outside legal frameworks. ICOs don’t offer equity in startups, and only give cryptocurrency discounts before they release them to the exchanges. Additionally, ICOs are global, not national. Theoretically, anyone can invest on a semi-anonymous level. Oh, and they’re not funded by central authorities or banks either. Criminal activity is now mostly self-regulated within the community via crowdsourcing and external groups. Some companies are even working to establish Know Your Customer frameworks and make ICOs Anti-Money Laundering compliant. Those who support ICOs argue traditional methods of investing only benefit those already dominating the system. Investing outside of the system provides more freedom, especially for startups. ICOs mean startups can raise funds without worrying too much about looming stakeholders. 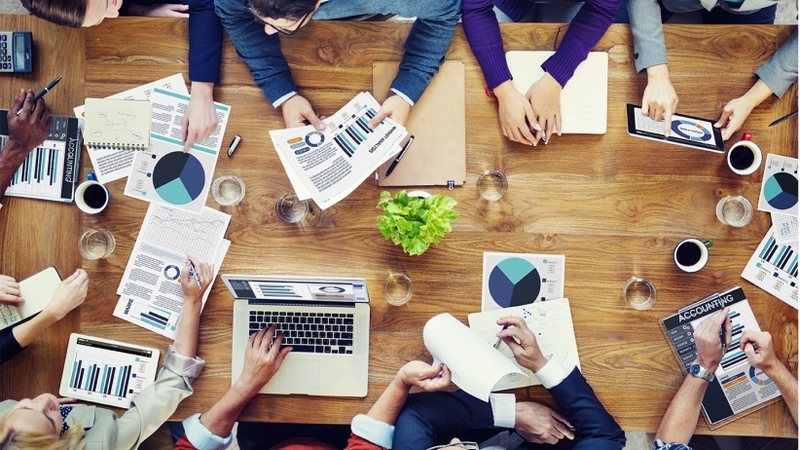 Non-profits can also benefit if they want to build open source software to raise capital. From their humble beginnings, bitcoins are now worth around $1,120. Bitcoin’s market cap is around twenty billion. Allegedly, half of that is owned by “bitcoin whales,” a group of less than one thousand people who bought into bitcoin early. Bitcoin whales have a huge impact on most ICOs. Most live in China, but some investment and hedge funds also have huge stakes in bitcoin. Fortunately, some of the bitcoin whale’s profits are reinvested in innovation. Since 2013, over $270 million has been raised in ICOs. Overall, ICOs are dominating in crowdfunding, with most top raises coming in as cryptocurrency. Though it’s still kind of murky and mysterious, blockchain technology is starting to be seen as more legitimate. Initial Coin Offerings demonstrate the success of an industry. As more investors become comfortable with ICOs, blockchain innovation will continue creating new possibilities. Ripple attracted a great deal of venture capital during its inception. 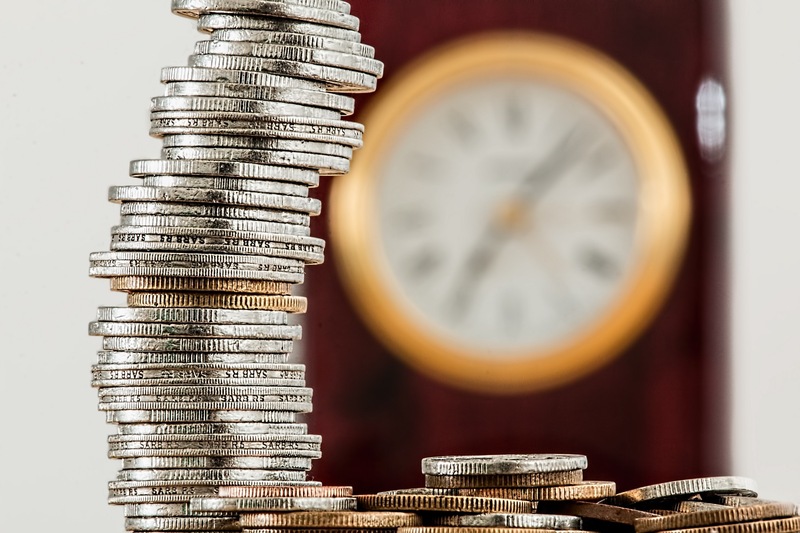 The Google-backed altcoin startup managed to pull in upwards of $50 mln from banking institutions, gathering an impressive $90 mln in total funding. Ripple is unique in that it allows for transacting with any unit of value, from fiat currency to frequent flier miles. “Ripple provides global financial settlement solutions to enable the world to exchange value like it already exchanges information giving rise to an Internet of Value (IoV). Ripple solutions lower the total cost of settlement by enabling banks to transact directly, instantly and with a certainty of a settlement,” reads the company’s copy on their official website. Initially a middling contender, Ripple has gained momentum in the cryptocurrency market, seeing a marked surge earlier this year. In fact, Ripple experienced a 100 percent increase in value within a 24-hour period in late March. 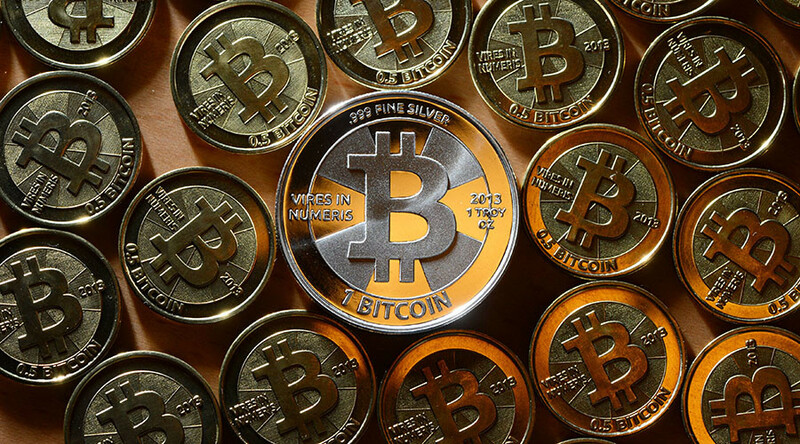 Former Google engineer Charles Lee created this altcoin in an effort to improve upon Bitcoin. Namely, the speed to generate a new block is improved dramatically. Transactions are much faster. By the same token, however, this speed makes Litecoin’s Blockchain larger and more prone to producing orphaned blocks. Dash, a combination of the words “digital” and “cash,” is the Internet’s cash-in-hand. Dash is quick. Its transactions are instant. “Your time is valuable. InstantSend payments confirm in less than a second,” Dash claims. By comparison, Bitcoin’s transactions can take up to an hour to process. GPU/CPU mining is no longer cost effective. In order to mine, you’ll need specific hardware, computers known as ASICs to complete Dash’s proof-of-work puzzles. NEM is written in Java; built on an entirely new codebase separate and apart from Bitcoin’s open-source code. There are a few other intriguing differences from Bitcoin as well. In NEM, you harvest rather than mine. It’s essentially the same as mining in Bitcoin, only that multiple people profit – albeit in much smaller quantities – from a generated block. NEM introduced the proof-of-importance algorithm to the digital ledger. A user’s wealth and number of transactions are used to timestamp transactions. NEM has seen rapid growth in its valuation since the beginning of 2017 as the altcoin is currently being embraced in Japan. A parallel Ethereum platform exists and sustains a sizeable usership with a market cap hovering just below $430 mln. Why do two versions of the same platform exist? The Ethereum community fractured when a disagreement over how a technically legal theft of funds should be handled. The majority of users wished to change Ethereum’s code in order to get the lost funds back. A minority believed that Ethereum should not be tampered with or altered by third parties. Even in cases of users exploiting the smart contract feature to trick others, the Blockchain must remain “immutable.” Thus, the minority created the Classic version of Ethereum, which still survives and thrives. Monero is geared toward those who desire greater anonymity. The cryptocurrency allows you to “send and receive funds without your transactions being publically visible on the Blockchain.” Transactions are completely untraceable due to Monero’s leveraging of ring signatures. Unfortunately, because of Monero’s emphasis on privacy, it has seen adoption by the darknet and other criminal organisations. Zcash, like Monero, offers greater privacy to users. Unlike Monero, transactions are shielded rather than made completely private. Meaning, the details of the transaction itself, such as the users involved and the amount traded, are hidden. Zcash does this by using a “zero-knowledge” proof that allows for parties to exchange funds without revealing each other’s identity. Decred’s primary aim is to focus on “community input, open governance and sustainable funding and development.” The currency melds proof-of-work and proof-of-stake mining algorithms to ensure a minority of users do not own the majority of the funds and that decisions are led by the community rather than a handful of developers or early investors. PIVX stands for Private Instant Verified Transactions. Another open-source decentralised Blockchain currency, it is built upon Bitcoin Core. Like Zcash and Monero, PIVX boasts its heightened privacy and security. “[W]e believe that you have the right to exchange privately and securely, without interference from corporatocracy pressures, governmental influences, prying eyes, and nefarious individuals and movements,” PIVX contends.PIVX is highly volatile, experiencing massive spikes in trading volume and valuation as of March of this year. Again, because of the currency’s emphasis on privacy, PIVX is susceptible to criminal activity. Cryptocurrencies, Bitcoin and the altcoins it has spawned, may bring about a new global economy. 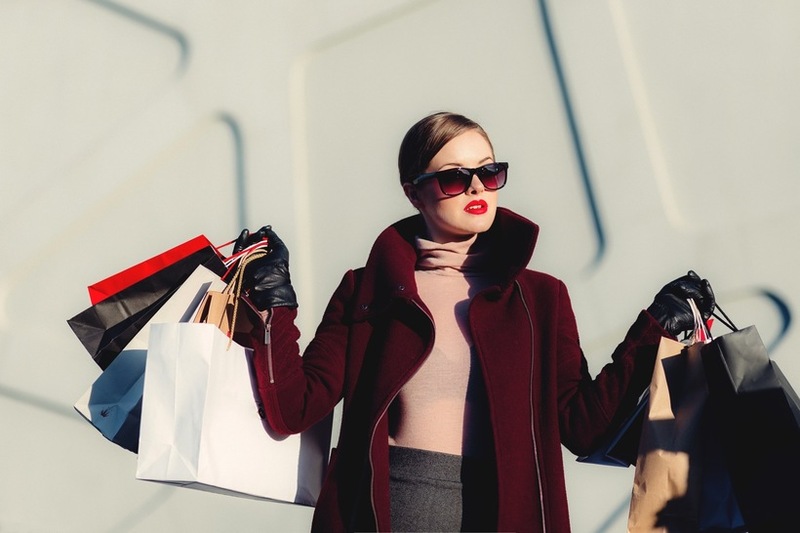 They allow us to transact in a peer-to-peer fashion, without third-party bodies governing us. Bitcoin introduced the Blockchain, but other developers are quickly improving upon Nakamoto’s idea. Some currencies have focused on speed, as is the case with both Ripple and Litecoin. Others have honed in on privacy, currencies like Zcash going so far as making all transactions private and untraceable. Each altcoin comes with its own strengths and weakness. Surely, we’ll discover more as time goes on. For now, these 10 currencies are at the top. Their fate could turn, however, at a flip of a coin. although painfully slow. Nevertheless, there is refreshing news on a daily basis that makes the drive to push Bitcoin penetration in the so-called “hopeless continent” promising. From brave women promoting adoption to startups using Bitcoin and the Blockchain to provide financial inclusion and prevent piracy, the number is endless. It is a great inspiration to the ecosystem and Africa stands to gain a lot from the spread of the crypto revolution. 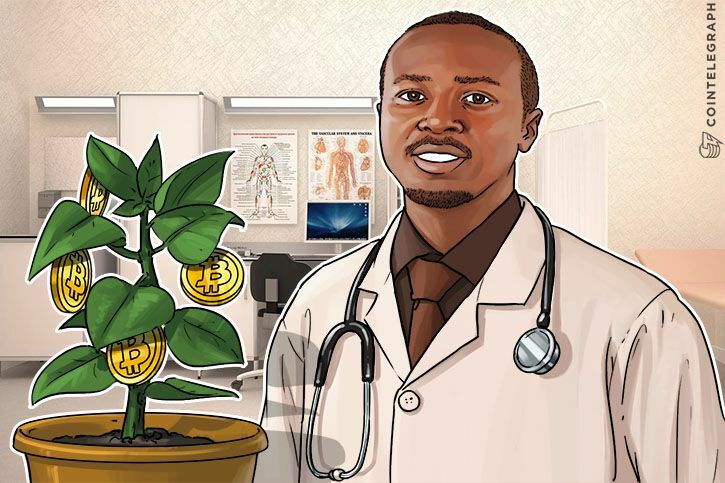 The medical doctor pointed out that what attracted and inspired him to accept Bitcoin as a payment for treatment was the fact that his clinic is focused on adopting technologies that allow for sustainability in offering accessible services. He, therefore, felt Bitcoin was a technology being embraced by the world and the youth, in particular, who may not have fiat money but may be involved in mining Bitcoin or working online for it. It is in that direction that his clinic is striving to give access to those type of users, or anyone who would like to try out his/her Bitcoin. It is not hard to see the cryptocurrency world has successfully attracted a lot of nefarious individuals looking to scam others. In fact, it appears there are more bitcoin-related scams showing up every single day. As one would expect, there are a few different types of scams that are more prevalent than others. Never change a winning tactic, according to criminals. Virtually every platform offering bitcoin investment should be treated with a lot of scrutinies. 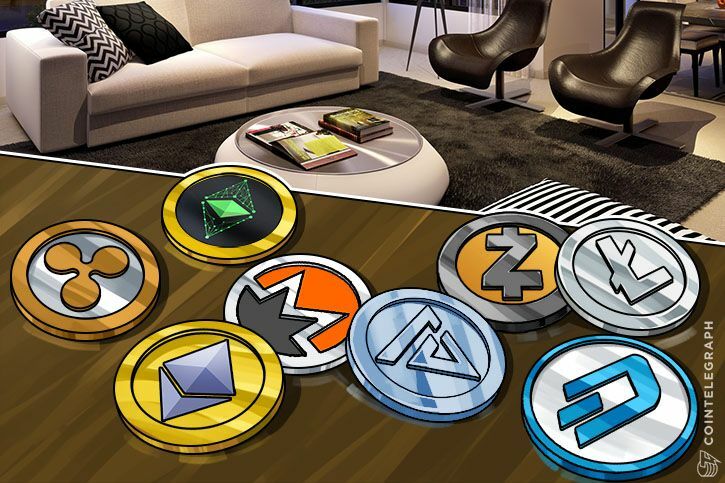 While there is a way for people to make money with other’s money – trading altcoins, for example – no one has successfully done so on a large scale. Trading itself is a very risky business, yet it is also the most legitimate way to increase cryptocurrency holdings over time. Unfortunately, there are quite a few large-scale investment opportunities, all of which will eventually turn into a scam. Ponzi schemes in the bitcoin world will always attract desperate people and shills, and there is quite an abundance of these programs available right now. Never trust any online platform claiming to let you earn money without doing anything. The Cryptocurrency world is home to some great innovation, especially where mining hardware is concerned. Gone are the days of FPGA mining, as it is all about ASICs right now. There are quite a few companies who claim to manufacture hardware, and most of them will offer pre-sale discounts to anyone investing in that company. It is not surprising a lot of these companies offering pre-sales are complete scams, as most of them do not even have any ASIC research and development lab whatsoever. One of the more recent scams revolving around bitcoin mining hardware goes by the name of Foxminers. The company provides no evidence of their mining hardware or research. Companies like these often trick people into depositing funds in the hopes of getting a cheaper new bitcoin miner. However, they will continue to delay shipping and eventually run off with the money. Perhaps the biggest industry of bitcoin scams comes in the form of companies claiming to run a cloud mining operation. One of the biggest cryptocurrency cloud mining scams to date goes by the name of HashOcean, a company that successfully paid miners for over a year until they finally disappeared and could no longer maintain paying out users accordingly. Every cloud mining venture should be looked at very closely, as the number of legitimate companies can be counted on the fingers of one hand. Even then, ensuring a return on investment is virtually impossible due to volatile bitcoin prices and mining difficulty increases. Cloud mining can be somewhat lucrative if one is lucky, yet directly buying the cryptocurrency in question and holding onto it for the same duration as the mining contract will usually generate better returns. This is a paid press release, which contains forward-looking statements, and should be treated as advertising or promotional material. Bitcoin.com does not endorse nor support this product/service. Bitcoin.com is not responsible for or liable for any content, accuracy or quality of the press release. 27th April, Zug, Switzerland: Blockchain startup Mysterium Foundation has announced its token crowdsale scheduled for the 30th of May. Mysterium is building a decentralized Virtual Private Network (VPN) that anyone can use to connect securely and anonymously to the internet. The system is also designed so that users who share their spare bandwidth to the network will be able to earn digital tokens in reward. The Mysterium platform will operate via its native MYST token, available through the crowdsale. Until now the public has had to trust their private data to large centralized VPN providers. Now Mysterium will offer an alternative decentralized peer-to-peer (P2P) network that aims to take back power from big corporations. Mysterium acts as a distributed marketplace for the give and take of VPN services and is backed by secure Ethereum blockchain technology. Internet privacy is under attack. Last month the U.S. reversed a set of important consumer protection rights allowing Internet Service Providers (ISPs) to track customer activity and sell that data to the highest bidder. According to the Electronic Frontier Foundation customers will now be subject to ‘new and invasive ways to track and deliver targeted ads to customers’ . As a result, the U.S. has seen a huge surge in demand for VPN’s as people seek to restore their privacy. Most users are unaware that they are simply moving their private data from centralized ISP’s into the hands of centralized VPN providers. Mysterium offers a real alternative – an open source, decentralized and encrypted VPN solution with levels of privacy unmatched by centralized providers. The Mysterium platform is designed so that anyone with bandwidth to spare can join the network as a VPN node provider and earn MYST tokens in reward. To enable the system to scale, transactions will be handled through the platform’s own decentralized micropayment system called CORE. The MYST token pre-sale opens on May 30th at 13:00 UTC. Funds raised will be used to support the development and the launch of the platform. Countries like France, Germany and the UK have already established regulatory frameworks for Bitcoin companies, users and traders. Other European countries have offered their unique regulatory frameworks with clarity, to ensure there exists no conflict between local businesses and regulators due to ambiguous regulations and policies like India. Smaller countries such as Malta, an archipelago in the central Mediterranean between Sicily and the North African coast, have begun to consider Bitcoin as a legitimate currency and revolutionary technology. Although Muscat raised several positive use cases of Bitcoin and Blockchain technology, Muscat specifically addressed the Bitcoin Blockchain’s ability to handle, store and process sensitive data such as lands registry in a secure, immutable and decentralized ecosystem. Most recently, Ubitquity, a US-based Blockchain startup, partnered with one of the land records bureaus of Brazil to utilize the Bitcoin Blockchain technology to integrate land records to the public Blockchain of Bitcoin. Such method enables land bureaus and other government organizations to store data within an unalterable ledger. “We are incredibly excited to announce our partnership with the land records bureau, a Cartório de Registro de Imóveis [Real Estate Registry Office] in Brazil. This partnership will help to demonstrate to government municipalities the power and benefits of using Blockchain-powered recordkeeping,” said Ubitquity founder and president Nathan Wosnack. Malta to become the Silicon Valley of Europe? The rest of the government, including Labor Minister of Parliament Silvio Schembri, revealed the government’s vision to transform Malta into the Silicon Valley of Europe. The country will focus on the development of innovative technologies such as Bitcoin and Blockchain technology to stay at the forefront of European technological innovation. Time to go out again. We still have our socks, but maybe we need new shoes? Normally having leather shoes handcrafted for your foot size and shape cost a fortune, but in Iran, with its fine leather and shoe industry, these high quality products are affordable.Interestingly the sanctions against Iran don’t make it illegal to import shoes (unless you are American, maybe). But it does make it impossible to send payments. In this case, we literally have no other option than to pay with Bitcoin. Ever wanted to visit North Korea? The China-based travel agency Young Pioneer Tours has 9 years of experience of organizing tours to North Korea, and can help you with flights, hotels, visa and a tour guide. It’s difficult to make a wire transfer to China, so Bitcoin is our natural choice of payment. Okay, we get it, Bitcoin is awesome. We constantly want to talk about it, tell others about our trip to North Korea, and how we were able to tweet pictures the entire trip from one of the most heavily locked down countries on earth.But doing so would make us a bit annoying. We head over to South Korean company Kimchi Socks to buy their Bitcoin branded socks. That way, maybe people will notice and ask about Bitcoin themselves? Bitcoin socks, paid with Bitcoin. We are so much fun at parties! So now we have shoes from Iran, been to North Korea and have these stylish new socks. Why put shoes on again? Why not just make your work life a whole lot better with some awesome office gadgets?Gadgets and toys are enjoyed all around the world by people of all age, color and gender. But not everyone has a credit card to pay for it. Bitcoin to the rescue. Quickly after the first game, we realize, we might need a better monitor. There are tons of places online that sell monitors for Bitcoins. Rakuten, Overstock, Dell, Tiger Direct and others. Do you know that feeling when you make yourself a coffee while playing a video game, and then you forget you made it and now it’s cold? That happens with tea as well, but cold tea is still delicious. Just put some Ice cubes inside! No idea how to combine ice cubes and Bitcoin, but for the tea, head to Beautiful Taiwan Tea. VPNs are meant to protect our privacy and data when we browse the web from a coffee shop or airport Wi-Fi. Many of us live in countries that actively monitor and censor the internet, and a logless VPN protects us.For more privacy, it makes perfect sense to not use your credit card (which is connected to your real name), but instead the pseudonymous currency Bitcoin. No matter if you want jewelry for yourself or as a gift, Reeds takes Bitcoins and ships to wherever you are. At the end of the day, why not donate your Bitcoins to one of over 10,000 charities in the United Kingdom? With Proof of Donation, you'er issued a cryptographic receipt that irrefutably proves you did good. With Bitcoin. that could potentially be used to remotely shut off bitcoin mining machines was revealed yesterday – with a fix from the manufacturer following shortly after. Involving controversial mining chip manufacturer Bitmain, the issue is what some are calling a "backdoor" in the code that controls its hardware, offering the company a way to remotely shut off the miners. Since the code, released anonymously last evening, is vulnerable to attackers, the main concern is whether, in a worst-case scenario, it could be misused. The fear is that bad actors could exploit the vulnerability to switch off bitcoin mining equipment in bulk, and with Bitmain supplying such a large number of machines to the market, the impact could have catastrophic implications for the bitcoin ecosystem. Known as Antbleed (a title bestowed by the website that dramatized its release), the vulnerability is open-source, making it easy to verify. Leading up to the reveal, a group was told about the code feature, with some developers, such as Satoshi Labs CEO Marek Palatinus independently verifying that the backdoor exists and that it can be used to stop Bitmain miners on trigger. Bitmain quickly responded with a fix that erases this part of its mining firmware. Further, its team claimed that the feature was never finished and that it was intended to help customers recover stolen miners, a past problem for industry firms. "We never intended to use this feature on any Antminer without authorization from its owner. This is similar to the remote erase or shutdown feature provided by most famous smartphone manufacturers." Much of the recent buzz in the community is around whether the so-described "backdoor" could have been used for malicious purposes, for example, to shut off a miner if it wasn’t complying with rules set by Bitmain. Adding to the confusion is that bitcoin developments have been highly politicized lately, with Bitmain often sitting at the center of bitcoin’s long-standing scaling debate, opposing proposals authored by members of the Bitcoin Core community. For example, the vulnerability reveal follows allegations that the manufacturer was using a secret mining advantage to boost its profits. "The drama in social media today surrounds the question of whether there exists a security hole that would allow this remote-control feature to be exploited for nefarious purposes." Still, it seems that there are other reasons to be concerned about the backdoor. Since it can be exploited by bad actors from outside the company, the mining chips are now viewed as a security risk to the network. Everyone to 11 minutes, according to the open-source patch introduced on July 12th, 2016, the machines send calls back to a Bitmain server. The idea is that the mining manufacturer can scan for identifying information about the mining chip, including its serial number and IP address. But, arguably the biggest concern is that the code isn't limited to use by certain people or companies, so it can be exploited by any man-in-the-middle or attacks coming from the same DNS server. "Even without Bitmain being malicious, the API is unauthenticated and would allow any MITM, DNS or domain hijack to shut down Antminers globally," the Antbleed website reads, further outlining concerns about the potential for technical or political misuse. Whether or not it was intended to be malicious seems to make up the bulk of the surrounding debate, and so far, it seems that sentiment has broken along the lines of the scaling debate. Still, some broke away from so-called party lines. "This was reckless of them to leave the unfinished feature in the code since this represents a major security issue," said Henry Brade, CEO of bitcoin service provider Prasos, a past defender of Bitcoin Core’s scaling proposals. "However, based on the statement it is not accurate to call 'Antbleed' malicious in nature. It's simply a serious security issue." F2pool operator Wang Chun further noted that he isn’t particularly worried about miners within his pool falling victim to manipulation by Bitmain. He noted, in conversation with CoinDesk, that it doesn’t seem like the company ever used it to shut down miners. "They have been able to do that for a long time, but they didn't," he said. Guy Corem, former CEO of Israeli mining chip maker Spondoolies-Tech, chalked up the controversy to "incompetence” and "negligence", rather than malicious intent. "It make sense they wanted to develop such feature and it also make sense they didn't complete it and abandon it," he added. Further, he cited Spondoolies-Tech’s own past issues with stolen mining equipment. Still, some in the community are skeptical of Bitmain’s response. "Denial of many people is unbelievable. 'Antbleed' is not bug or mistake. The purpose of the code is clear; shut down miner on remote flag," Palatinus tweeted. "It was reported to Bitmain via that bug report months ago, and their customers need to know to protect their operations from potential [man-in-the-middle attacks]." The issue was first reported to Bitmain on Github in September 2016. One question is how prevalent the practice is in bitcoin. Secret backdoors seem to be par for the course in the technology world, often drawing security-minded critics as they're uncovered. Do other hardware manufacturers have the same vulnerability? Two mining manufacturers, at least, claim that they don’t. "Our hardware doesn't [have] such issues, we [don’t] offer remote updates for firmware – it's the customer's decision update them or not,” said blockchain startup Bitfury Group CIO Alex Petrov. "My miner has no ASICBoost or backdoor," Jack Liao, CEO of mining LightningAsic, told CoinDesk. Along with the details about the backdoor, those who detected it released a patch that closes it up with a single line of code. Still, there are lingering worries that the vulnerability betrays a weakness in the bitcoin network – namely, it's lack of mining chip makers. No clear data is available about how many miners are running this software, but Bitmain is one the largest chip manufacturers in the space, with bolder estimates suggesting it produces 70% of all mining chips. That the backdoor could be used to impact any of those chips is unsurprisingly alarming to advocates that the network be "decentralized" and open to competition that enables different actors to engage it. For now, the impact seems to be that Bitmain will take action to look at the rest of its codebase in order to spot other vulnerabilities. "The controversy around this code has brought our attention to improve the design in order to address vulnerabilities that were pointed out by the community recently," its statement reads. Still, others are lamenting the state of the drama and conversation around the issue, noting how quickly it became politicized. "All-in-all just another day in bitcoin."